Coming to the University of Wisconsin-Whitewater, Becky Wintringer was not sure this was the place for her. It was not until she became involved with her residence hall that she was sure Whitewater was home. Throughout her time at UW-Whitewater, Wintringer was involved in many aspects of student life. From being a general member of the Optimist Club her freshman year, to being a part of the Homecoming Steering Committee last fall, it seems that she has done it all. Wintringer, an English literature major with minors in journalism and communication, was named the April Intern of the Month for her internship with Career & Leadership Development (C&LD). Wintringer was hired as a Warhawk Connection Center Intern for the fall of 2013. However, this was not the path she thought she would take. Originally applying to be a customer service associate, Wintringer found herself with the offer to be an intern in the Warhawk Connection Center. In looking at this opportunity, she felt that it was an area that she did not have a lot of experience in, however, was one that she could grow and develop from. Throughout her time in the Warhawk Connection Center, Wintringer has appreciated all of the people that she has met and worked with. Wintringer’s time in C&LD will follow her through her next endeavor. 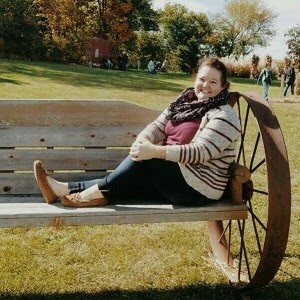 After graduation, Wintringer is going to be moving to Massachusetts to pursue her master’s degree in higher education administration and working in their housing department as a first year resident educator at the University of Massachusetts – Lowell. After learning and growing here at UW-Whitewater, she is excited to see where this new journey takes her and what new experiences she will have and the lessons she will learn. This entry was posted in Job Search Strategies, Majors & Careers, Personal Branding, Student Spotlight and tagged Becky Wintringer, career development, CLD, Intern of the Month, internship, Warhawk Connection Senter, WCC by Brian Briceno. Bookmark the permalink.